JOS, Nigeria (Morning Star News) – Among several Boko Haram bombings that have put northeastern Nigeria on edge this year was a suicide attack on Christian student organization quarters that killed a Christian student, sources said. Ambore Gideon Todi, a 21-year-old student at the University of Maiduguri in Borno state, was staying in the Evangelical Church Winning All’s student ministry tent when Boko Haram suicide bombers detonated explosives in mid-May, according to leaders of the school chapter of the student ministry. Joseph Kamida Cham, a Christian leader from Todi’s native Gombe state, told Morning Star News that a friend of Todi’s also staying in the Christian student quarters had decided to travel just prior to the bombing. School authorities had reported that one army member along with three suspected suicide bombers were affected by the blasts. The school decided against announcing that any students were affected, fearing the school would be closed, Cham said. Leaders of the university ECWA student ministry confirmed the killing shortly after his death, Cham said. Only after Todi’s friends alerted authorities to his disappearance nine days after the bombing was he identified as a victim of the bombing, he said. “He was identified as a victim through his shirt found at the scene of the attack,” Cham said. 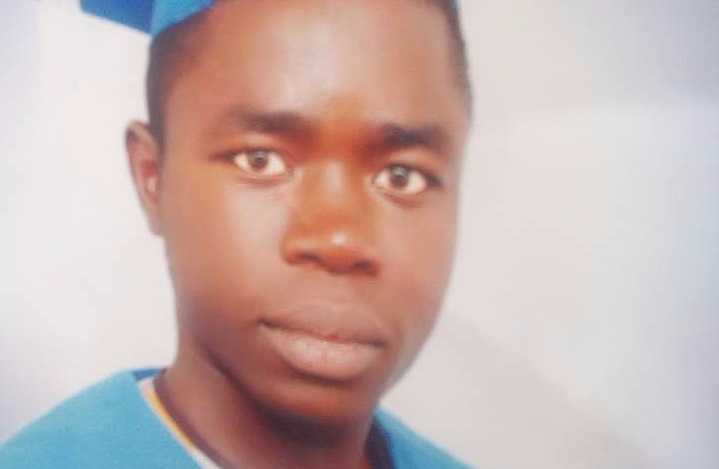 Williams Abba Todi, the student’s father, announced the killing in a post on Facebook on May 22. Williams Abba Todi could not be reached for comment. Cham said Todi was the only member of his family to have gone to university and the only male child. The family is from Biliri, Gombe state. Maiduguri has been the site of a series of bombings and attacks by Boko Haram terrorists who aim to impose sharia (Islamic law) throughout Nigeria. They have also attacked predominantly Christian towns of Borno state such as Chibok, Gwoza, and Uba since January. In an attack on a mosque in Maiduguri on Monday (July 17), at least eight people were reportedly killed when a female suicide bomber detonated explosives. Since being driven out of captured territory by military counter-insurgency operations, Boko Haram has increasingly used women and girls, presumably kidnapped, to carry out suicide attacks. The previous week, four women reportedly detonated explosives in a suicide mission in the Molai Kolemari area of Maiduguri, killing 19 people and injuring 23 others. Christians make up 51.3 percent of Nigeria’s population, while Muslims account for 45 percent. Nigeria ranks 12th on Open Doors’ World Watch List of countries where Christians suffer the most persecution.